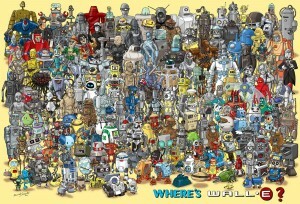 OMGRobots.net | One awesome robot thing a day. Alright, enough videos–tomorrow marks the start of the 2013 FIRST Robotics Competition season with their annual Kickoff telecast. FIRST hasn’t released details on how to watch online, but with local Kickoff events all over the place there might just be one near you. It’ll also be up on YouTube shortly after the telecast, if last year is any indication. Time to find out what that hint means! This entry was posted in Uncategorized and tagged FIRST Robotics Competition on January 4, 2013 by Billfred. Boston Dynamics (of BigDog fame) has the legs-in-the-real-world thing down. For reference, if you ran 28.3 miles per hour you would complete 100 meters in about 7.90 seconds. Usain Bolt’s world-record 100-meter run, admittedly from a standstill, is 9.58 seconds. This entry was posted in Uncategorized and tagged boston dynamics, fast robots, running, video on December 31, 2012 by Billfred. Now THIS is robot combat. It appears they’re still remote operated, but I think we would all give a walking robot more of a free pass than the average wedge. This entry was posted in Uncategorized and tagged bipedal robot, video, wrestling on December 31, 2012 by Billfred. This entry was posted in Uncategorized and tagged helicopter, things likely to doom humanity, video, walker on December 29, 2012 by Billfred. Take one part useless machine, one part busted printer, and you get a useless machine that’s reached the next level. This entry was posted in Uncategorized and tagged useless machine, video on December 28, 2012 by Billfred. Somewhere in the above-linked image by illustrator Richard Sargent is everyone’s favorite trash compactor. I found him, but it took quite a bit of searching! 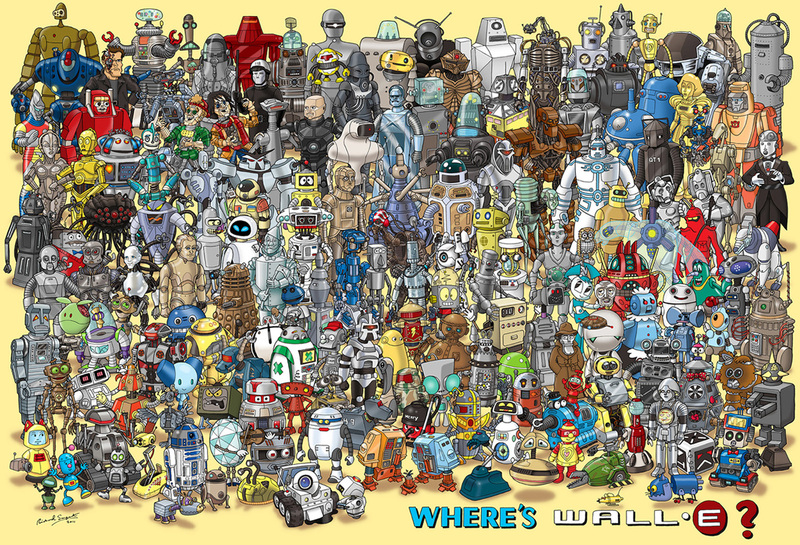 This entry was posted in Uncategorized and tagged art, movies, WALL-E on December 27, 2012 by Billfred.